Download UPSC Target 2019 - Government Schemes magazine that cover Schemes introduced by various Ministries announced till November 2018. 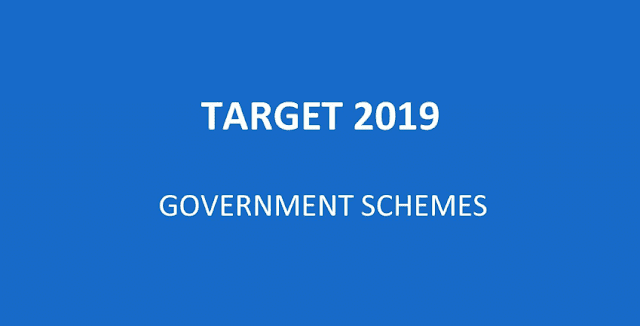 UPSC Target 2019 - Government Schemes: A useful magazine covering all Schemes introduced by various Ministries announced till November 2018, structured especially at helping UPSC Prelims Exam 2019. Schemes that will be announced during Budget and thereon, will be covered in Part II. We're thankful to iasparliament for this important magazine.